John Ogilby, Charles II's Royal Cosmographer, published his Britannia Atlas in 1675. 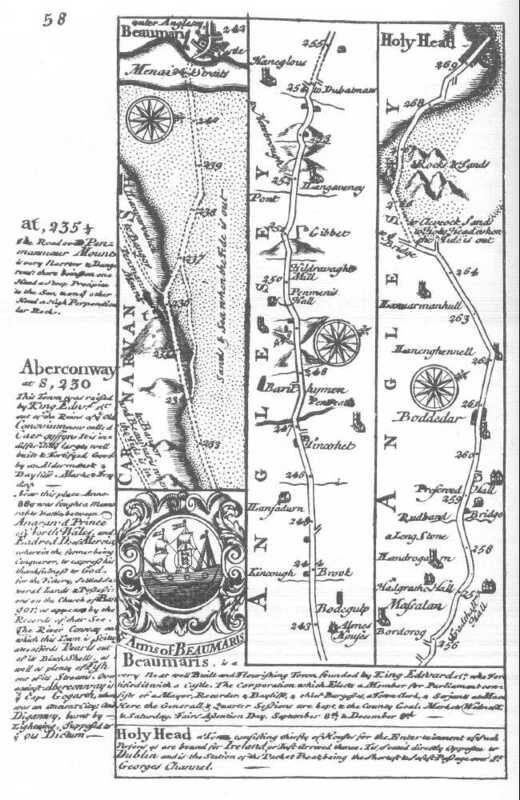 The section of the London to Holyhead road shown opposite is from the Fourth Edition of Britannia Depicta or Ogilby Improved of 1731. It indicates the line of road over the mountain and the divergence of the road towards Bangor from the traditional route over the Lafan sands to Beaumaris. Click here for full scale map.